Drink your vitamins! This simple recipe for a green smoothie brings spinach and blueberries together with nonfat Greek yogurt, banana, orange juice and honey for a delicious and healthy drink. It took me awhile to succumb, but I finally have. 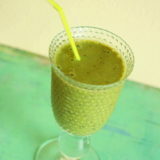 I have tried – and, as it turns out, love – green smoothies. As far as green smoothies go, my recipe is pretty mainstream, I think. The green is simply thanks to a couple of healthy handfuls of fresh spinach leaves, which lend it its pretty (or pretty ugly, depending on your point of view) green hue, but you don’t taste the spinach. At all. Banana and Greek yogurt make this spinach green smoothie nice and creamy; blueberries, fresh-squeezed orange juice, and honey just make it dang delicious. Really. 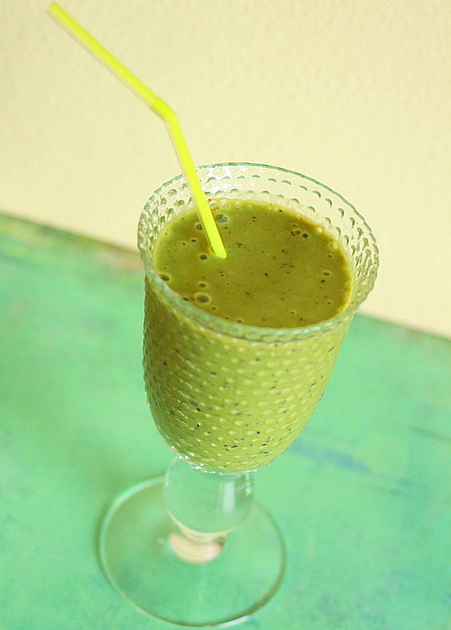 If you haven’t had a green smoothie, give it a whirl. I promise, they’re tasty. Even my guy likes them, and that’s saying something. We’ve been enjoying these on weekday mornings as an energizing start to our day, or I’ll whip one up as an afternoon pick-me-up. You can swap the blueberries for strawberries or raspberries too. 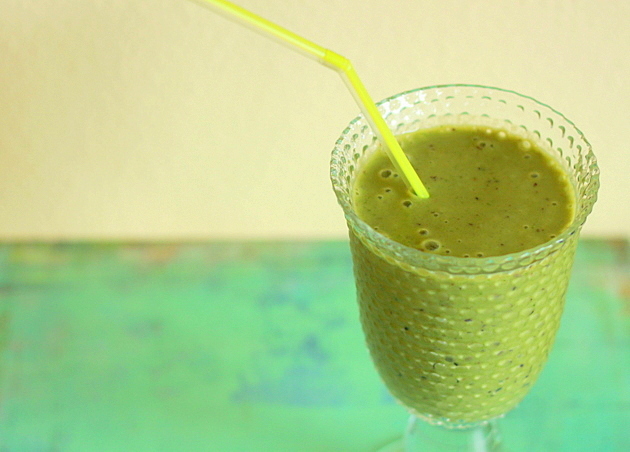 Your smoothie won’t be as green, but it’ll still be delicious. 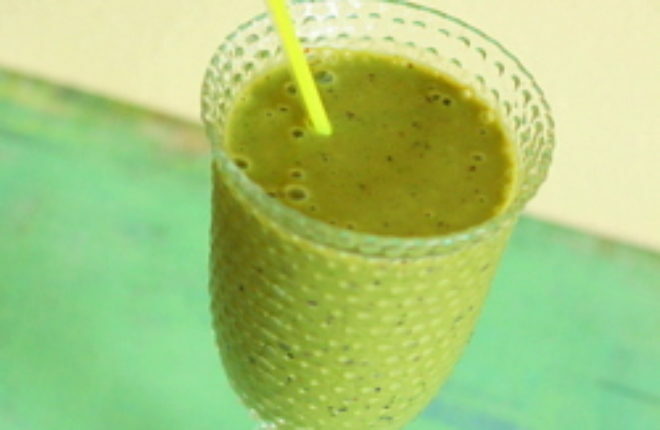 In a blender, puree the spinach, banana, blueberries, yogurt, orange and honey. Add the ice and puree until smooth. Pour into two glasses, plop in a straw, and enjoy. I have been into the whole green smoothie thing for a little while myself and love them. I need to pick it back up though cause I stopped drinking them when I was really sick a few weeks ago. The peanut butter in it (I think) made me feel sick every time I’ve tried to drink one since. I see yours doesn’t have peanut butter in it so I might give it a whirl! This sounds really tasty and loaded with C-vitamin. Hope I can fool my husband to drink it. more research on this subject.